Standup is the first single from and the precursor to the upcoming album Light it Up. 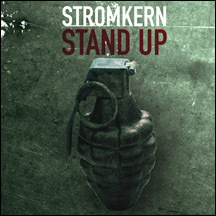 Staying true to Stromkern form, Standup will follow in the steps of Heretic and Nightriders and be a guaranteed hit at both club and college radio levels. The Standup single contains three versions of the title track including a remix from Iris, a b-side called Can't Believe and more.